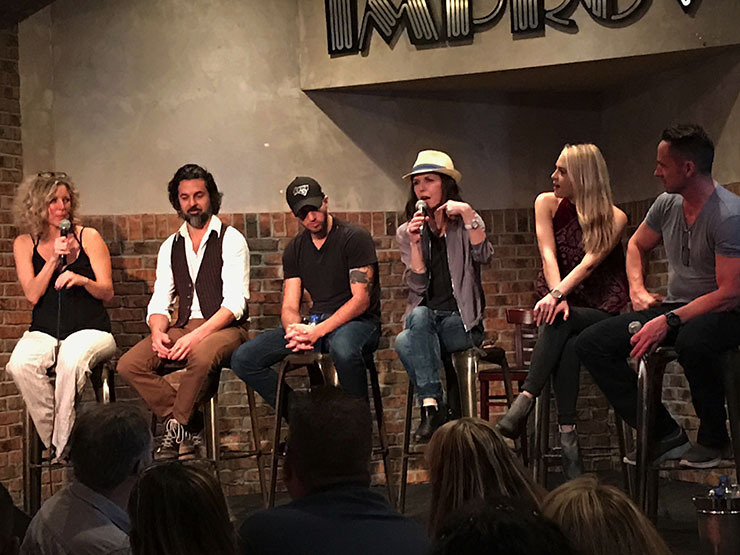 If you have been reading our series of exclusive articles on the GH Fantasy Weekend event in West Palm Beach, you may already know that it was an amazing weekend had by all, including more than a dozen General Hospital (GH) actors and fans. 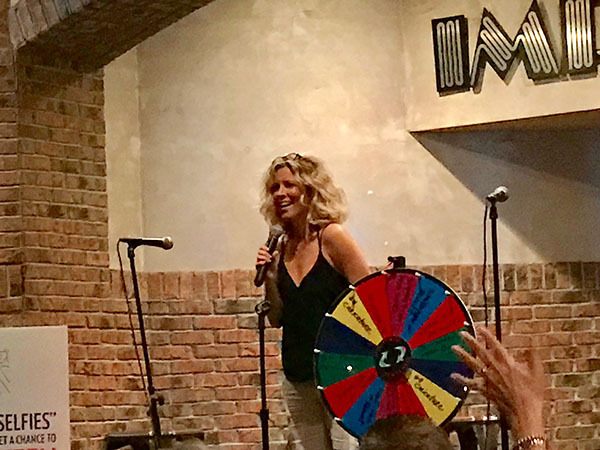 One particular actress that stands out is Laura Wright, who is also known as the very popular Carly Corinthos! While my personal time with Wright was cut short due to time constraints, she did not disappoint when it came to entertaining the fans during the question and answer session of the event! During the next one and a half hours, Wright talked about everything from what it’s like to work on GH, especially with her fellow cast members! For instance, even though they may shoot multiple episodes in a day from tons of pages of dialogue, Wright said it was possible to go in at 6:30am and be done by noon! 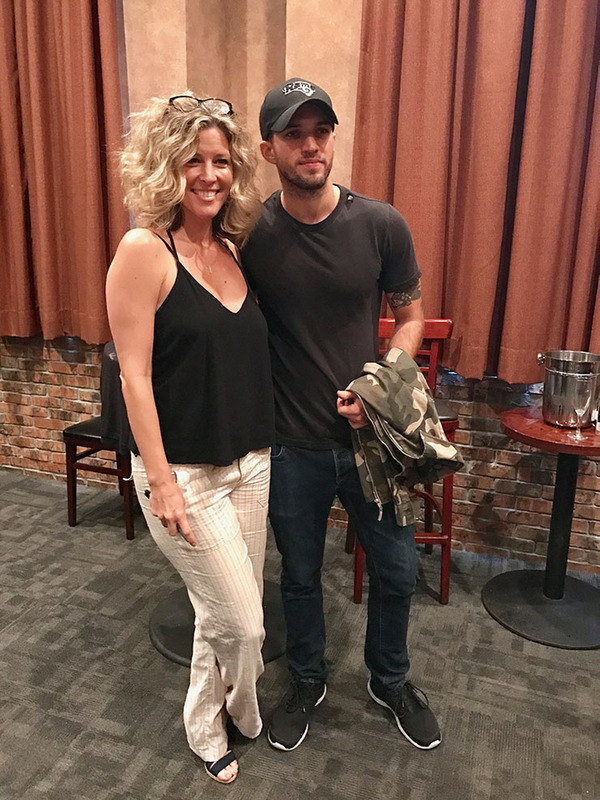 When asked about what it’s like to work with her on-screen son Morgan, played by Bryan Craig, Wright said even though they are friends, there is a maternal bond that exists between them. Perhaps an unknown trivia fact about Wright: she actually used to watch the show! She was later wowed to be working with such actors as Finola Hughes (Anna). We imagine the same goes for Tony Geary (Luke Spencer) as well! Wright also took part in a trivia contest for a lucky contestant! Laura Wright also talked about the difficulties of being a recast and the judgement that comes from social media, whether it be for recasts or newbie actors. All the fans clapped for her when she said, “We are still human,” and fans might want to think, “before hitting the button.” She also was very protective of Chloe Lanier who plays Nelle and said, “No one better say a bad thing about her!” Wright did give us the scoop that Carly will find out the real truth about Nelle this coming week! A fan asked the panel if it’s hard to separate themselves from their roles when they go home. Wright answered that because “your body experiences the emotion” and the trauma, it is difficult not to take it home with you. She said sometimes you are in a good mood and have to go to that place to get to the heart of the scenes. As far as Wright is concerned, she actually lived through Morgan’s death because her body and mind went through all the emotions. Wright was also very receptive to crossovers with All My Children (AMC) and One Life to Live (OLTL). She was very happy to see Hillary B. Smith as Nora Buchanan on the set. She said, “If we can fill a role with an AMC or OLTL character, why not?” Who would Wright like to work with long-term on GH as long as it fit the PC canvas? Viki! She said she would love to work with Erika Slezak! We at Soap Cities totes agree! I 100% agree with Laura Wright and would LOVE to see Erika Slezak on GH!